CHRISTMAS NOVENA 7. Dec. 23: At a time and in a manner chosen by him God made his Word manifest, and through his Word he made all things. (St. Hippolytus) AV summary (1:16s) & text. AV summary (1:16s) & text. A child shall be born for us, and he will be called God, the Almighty; every tribe of the earth shall be blest in him. The Hidden Sacrament is revealed. There is, brethren, one God, the knowledge of whom we gain from the Holy Scriptures and from no other source. Whatever things the Holy Scriptures declare, at these let us look; and whatever they teach, let us learn it; and as the Father wills our belief to be, let us believe; and as he wills the Son to be glorified, let us glorify him; and as he wills the Holy Spirit to be bestowed, let us receive him. Not according to our own will, nor according to our own mind, nor yet storming by force the things which are given by God, but even as he has chosen to teach them by the Holy Scriptures, so let us discern them. God, subsisting alone, and having nothing coeval with himself, chose to create the world. And conceiving the world in mind, and willing and uttering the Word, he made it; and at once it appeared, formed it in the way he desired. For us it is sufficient simply to know that nothing was coeval with God. Outside him there was nothing; but he, while existing alone, yet existed in plurality. For he did not lack reason, or wisdom, or power, or counsel. All things were in him, and he was the All. At a time and in a manner chosen by him he made his Word manifest, and through his Word he made all things. He bears this Word in himself, as yet invisible to the created world. He makes him visible, uttering the voice first, and begetting him as Light of Light. He presents him to the world as its Lord; and whereas the Word was visible formerly to God alone, and invisible to the world which is made, God makes the Word visible in order that the world might see him and be able to be saved. This is the mind which came forth into the world and was manifested as the Son of God. All things came into being through him, and he alone comes from the Father. He gave us the Law and the prophets; and in giving them, he made them speak by the Holy Ghost, in order that, receiving the inspiration of the Father’s power, they might declare the Father’s counsel and will. Thus, then, was the Word made manifest, even as the blessed John says. For he sums up the things that were said by the prophets, and shows that this is the Word, by whom all things were made. In the beginning was the Word, and the Word was with God, and the Word was God. All things were made by him, and without him nothing was made. And later, The world was made by him, and the world did not know him; he came to his own, and his own did not receive him. ℟. 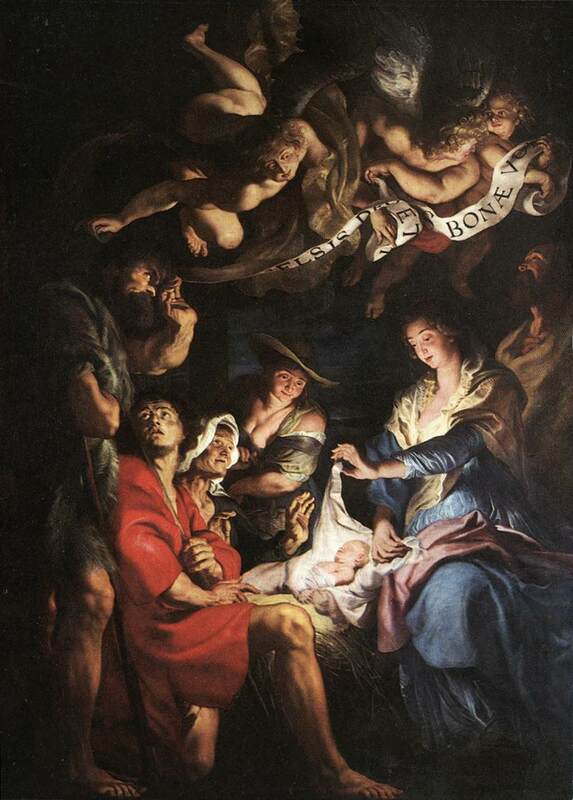 A child shall be born for us, and this is the name they shall give him: Mighty God. *He shall sit upon the throne of David, his father, and rule; dominion shall be laid upon his shoulders. ℣. All that came to be had life in him and that life was the light of men. * He shall sit upon the throne of David, his father, and rule; dominion shall be laid upon his shoulders. CHRISTMAS NOVENA 8. Dec. 24, CLICK HERE. 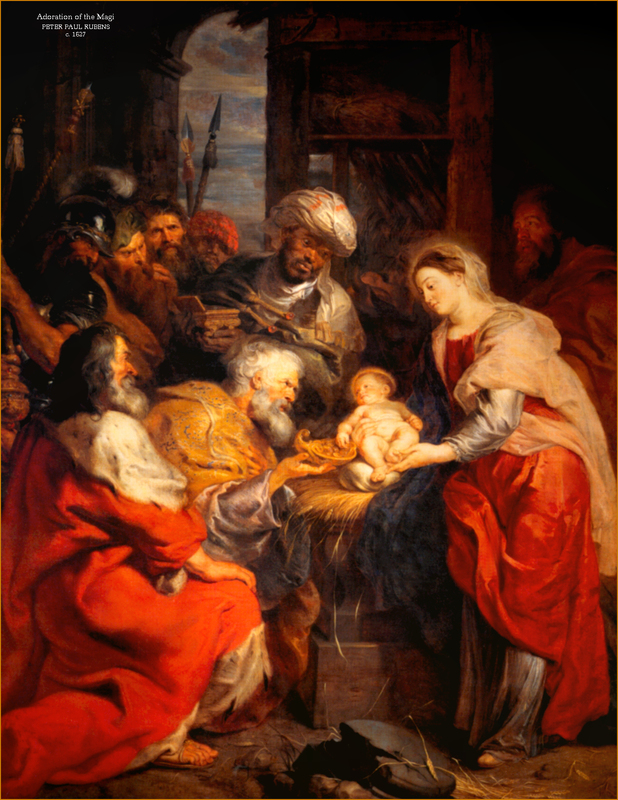 DECEMBER 25 MASS AND READINGS CLICK HERE. #CHRISTMASNOVENA 7. Dec. 23: #God made manifest His #Word (#StHippolytus).